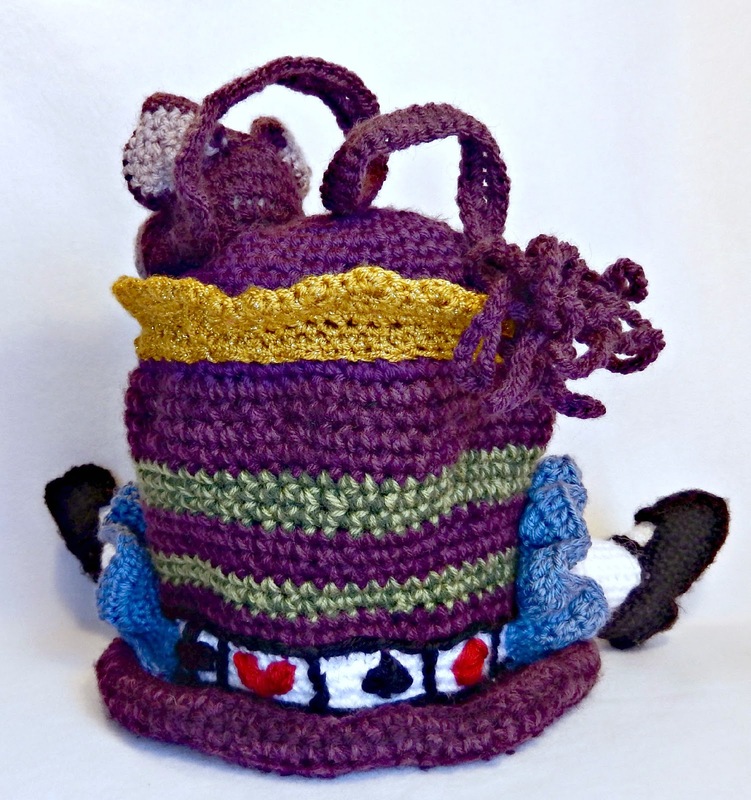 My Very First Crochet Challenge: Mad Hatter’s Challenge by the Crochet Crowd – Chit and Chats…. I happen to stumble upon a Facebook post that peaked my interest. 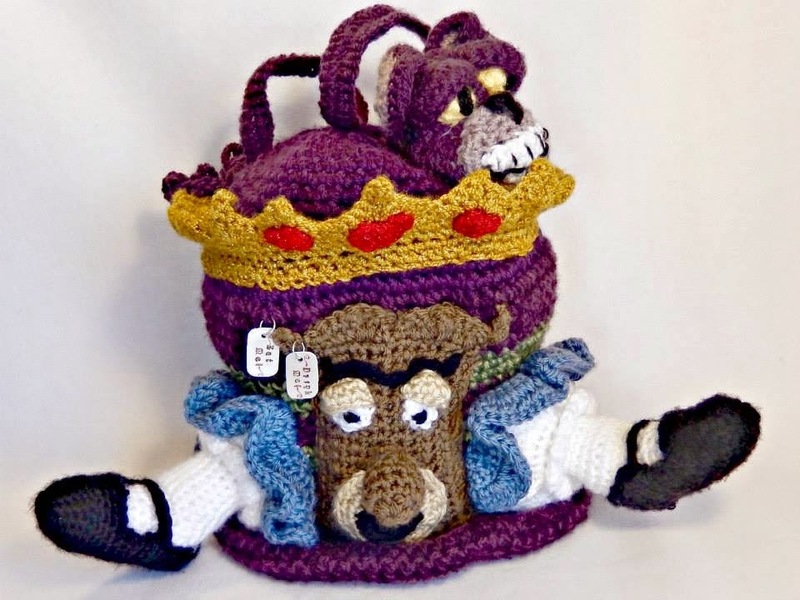 It was posted by The Crochet Crowd and it was titled, “Mad Hatter’s Challenge”. I happen to love Mad Hatter Hats so I was excited to find out what this was all about. I suddenly had the urgency to watch this movie and the other versions available to me. I checked all my VHS movies that we had collected for my daughter to see if we had it. No luck. I then got on to HULU plus and search every possible movie with the title and would you believe it!?! Not one movie!!! (Well, besides the cheezey, cheap, rated R types…which I’m quite sure wouldn’t be permitted)….Just my luck! Ha Ha Ha. My last resort was You Tube….and once again, no success! I wasn’t about to spend money to buy the movie that I hadn’t particularly liked, so what was I to do??? I was at a quandary. Low and behold…a few days later, I happened to turn the television on and flipped to a channel that actually had the movie on! Oh my goodness, how lucky was I??? I didn’t get to see the movie from the beginning, but I did get to see a good amount of it to the end. I truly think someone from above wanted me to enter this contest! It was a sign and I wasn’t about to ignore it. I was meant to make this hat!!!! After watching the movie, my creative juices were flowing. I was on a mission and nothing was going to get in my way. I doodled on every piece of paper within arms reach. It was like a tornado of paper flying this way and that. It felt great! As most creatives will attest to, my final product came out different from my original sketch. That’s what I love about creativity. You may start off with one design but you usually end up with a variation of the original when you’re finally done with it. At the beginning I wanted to portray the Cheshire Cat with his glowing yellow eyes on the front of the hat and his tail sticking out behind. I was going to make the top of the hat as a tea cup with steam rising out of it. Then have the band of the hat have the playing cards all around and the brim with the numbers of the clock on the circumference. The Mad Hatter’s hair coming out of the bottom and the door knob on the back. As you can see, only parts of that original sketch made it to the final product. During the creation process, with numerous trials and errors, I came up with this in the end. After about 2 weeks of “tweaking” I had my finished product. 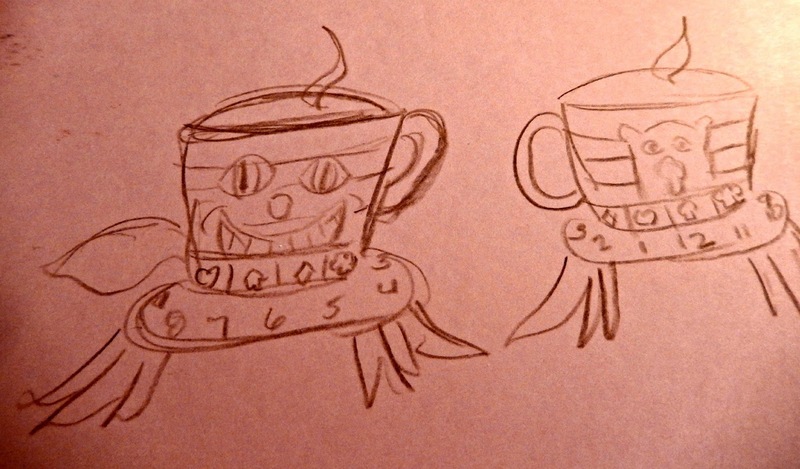 The Final Creation with the Cheshire Cat, the door knob, the Queen’s crown and Alice’s legs. This is the front view with the Cheshire Cat on top, the Queen’s crown, the Door Knob, Alice’s legs and the “Eat Me and Drink Me” tags. And here’s the back view with the playing cards. I can only tell you that this creation process, from figuring out what parts of the movie I wanted to use to the actual construction of the piece, was invigorating, frustrating, exciting, hair pulling, inspiring, and exhausting experience in a long while! LOL I put my blood, sweat and tears into this creation and I grew very attached to it. It was extremely difficult for me to send it off to Canada and knowing I would never hold it ever again! 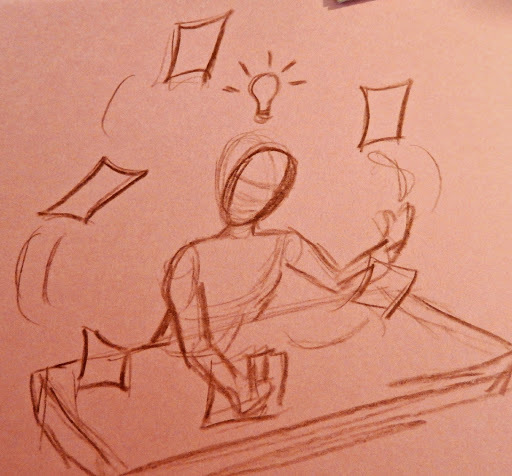 The contest is being held at the Creativ Festival on April 25 & 26 2014 in Cananda. All hats submitted for The Crochet Crowd exhibit will be part of an all new fundraiser, with all proceeds going towards creating Educational Awards for Fashion Design Students in Ontario, Canada. Visit the Crochet Crowd Booth #153 on Saturday, April 26th between 2 pm and 5 pm and get inspired to place your bid. The 5 Winning Hats will be released after being showcased again at the Creativ Festival, October 24, 25 & 26 at the Metro Toronto Conventional Centre in Toronto, Ontario Canada. Up to 30,000 Creativ Festival Guests to view once again. With over 340 hat entries, it’s truly awe inspiring and is a must see! I wish I could be there to witness the level of excellence in a sea of mad hatters! To check out all the wonderful hats entered for the contest: The Crochet Crowd. Next I want to be a super hero! Your hat was awesome. Love seeing how you sketched it up! Thank you so much, Sheri! I was sad to see it go….but there’s always a new challenge that awaits! Thank you so much, Sheri. I appreciate it very much.